It happens all the time, but it still confuses me when I meet people who don't read. Like, they haven't read a book. Ever. How did you get through high school?! I know TV is more exciting and blah blah blah, but seriously. Books are where it's at, people! *You can find reviews of some of these books on this blog here. Find me on Goodreads here. Anything else I should add to mine? Oh my goodness!!! Greg has read Snow Falling On Cedars... I keep avoiding it for some odd reason. HE ALSO just read Any Human Heart and LOVED it. This, too, I have yet to read. He'll be happy there's a list out there where he beats me on how many books he's read haha You have a great list here! I love to read everyday! I read at least 2 books a week, though they are all over the map in taste and genre. I don't understand either how some people don't read!! 1. I hate Spark Notes! People need to read, for the love of God. 2. The Divergent Series is on my Kindle, and I can't wait to read them! 3. Snow Falling on Cedars is great! It was part of my AP English summer reading (many moons ago, haha) and I loved it. 4. I'm currently reading Quiet, and it's amazing. Have you seen Susan Cain's TED talk? It's on youtube. 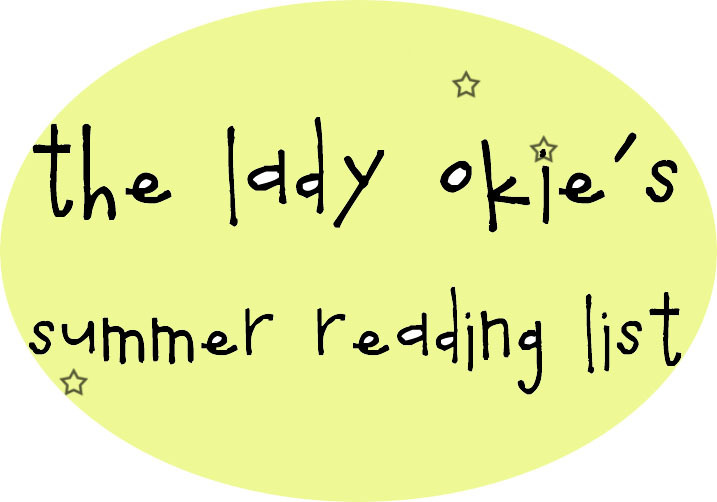 I have a ton on my summer reading list that I can't wait to get to! I have always been a voracious reader, and never understood people who didn't like reading! Oh and I will never understand people who don't read. EVER. Why watch the movie if there is a book??? The book is ALWAYS better. Always. great list :) i am going to add a couple of those to mine! i just read forgotten garden also by morton and it was a great read! I LOVE reading, but right after I had Quinn I just couldn't focus enough to read (and she wanted held all the time) and it's so hard getting back into it. Also, I HATED The Night Circus. Just throwing that out there. You should check out the Uglies series by Scott Westerfeld, they're my absolute favorite (and kind of same tone as Hunger Games). AND last thing, do you have a Goodreads account? I love books! Especially at summer time! Totally going to read Born to Run, thanks for the recommendation. Have you read the Kite Runner and A Thousand Splendid Suns by Khaled Hossini? They are great books! I just started The Happiness Project!! and I loved the Divergent series -- or the first two, I guess. I hope you do too! I can't understand how people don't like to read. It is one of the things I am most enjoying about my summer so far. I am reading another Kate Morton book right now...The Distant Hours. Let me know what you think of The House at Riverton. I really enjoyed it, but it was my least favorite of her four books. I don't get non-readers either. They are missing out on SO MUCH!! Other than Anne of Green Gables, I have not ready a single book on your personal favorites list. I'm definitely pinning this and will try to read some of these this summer!! 1) Most of my reading now comes in 20 minute increments when nursing the baby at 4am or rocking her to sleep for her naps. But that being said, I have read a TON of books in the last three months. 2) My brother used to hate reading (even though the rest of us love it) - but recently, at 35, he has discovered that there are books out there he might like. He read the first two of the Harry Dresden series (novels about a "professional wizard" which are pretty entertaining), and then decided to read the Hunger Games and read it in 2 days! So have grace with those "I don't read" people - they may change their stripes later. a) "The Shadow of the Wind" by Zafon. Excellent - mysterious, exciting, and ends as well as it begins. b) "Maisie Dobbs" by Winspear (and the subsequent books in the series). About a woman who is an "investigator and psychologist" in England following WWI. Great setting, terrific characters, thoughtful themes and exciting mysteries. 4) can you tell I love mysteries? I have since I was in 4th grade reading Encyclopedia Brown and Nancy Drew. 5) can you tell I love lists? I LOVED the Divergent books. Try to put those off a little because once you finish the second one, you'll be sad the third isn't out until October. I am adding "Quiet" to my list, "The Happiness Project was life changing for me 3 years ago, and what I am reading now is called "The Power of Starting Something Stupid"